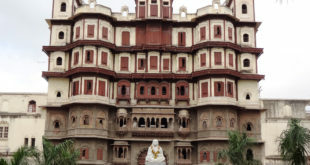 Indore, one of the most popular city of Madhya Pradesh is a lovely place to be live in. 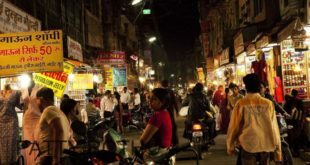 Not only there are some amazing shopping markets in Indore, but a lot of popular tourist attractions in Indore as well. Usually on the weekends people either love to hang out for shopping or they look out for Water Parks in Indore. Being quite a big city there are some good Amusement & Water Parks in Indore. 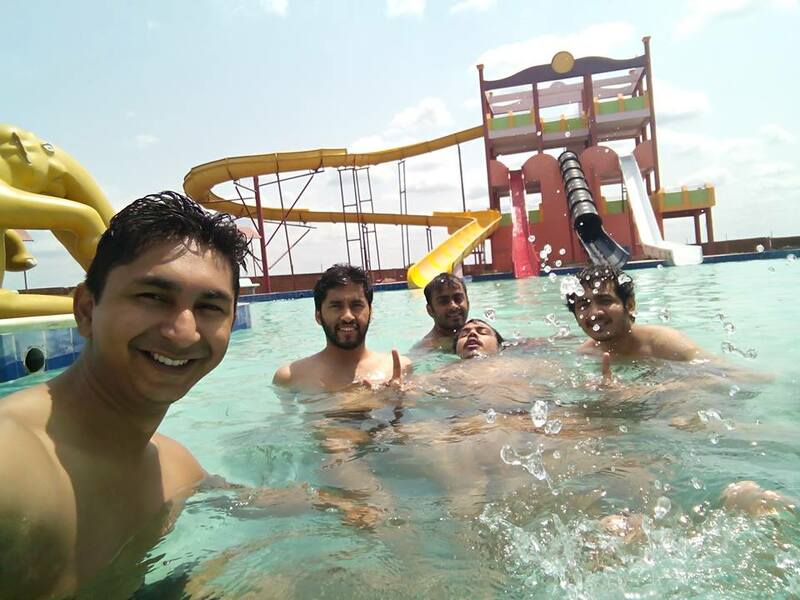 Summers in Indore are quite harsh and to beat the summers visiting a Water Park in Indore is definitely the best choice. Today, we will tell you all about the 5 best water parks in Indore. Let’s get started ! Mayank Blue Water Park is one of the best spot to beat the heat over the weekend. Some of the slides at this Water Park are extremely cool. If you are not sure about taking the rides, staying in the pool will surely serve the purpose for you. Although the changing rooms at Mayank Blue could have been better, It is still quite an adventurous place to visit in Indore. This is the major charm of Indore specially when we talk about the children. The extremely blueish water of this water park is a treat to the eyes. On the extremely hot days of summer, this water park is the the best place to be in. Bicholi Mardana, Kanadia Road, Indore, Madhya Pradesh 452016, India. Situated at a distance of about 26 km away from Indore, Crescent Water Park is an ideal place to spend quality time with your loved ones, friends and family. 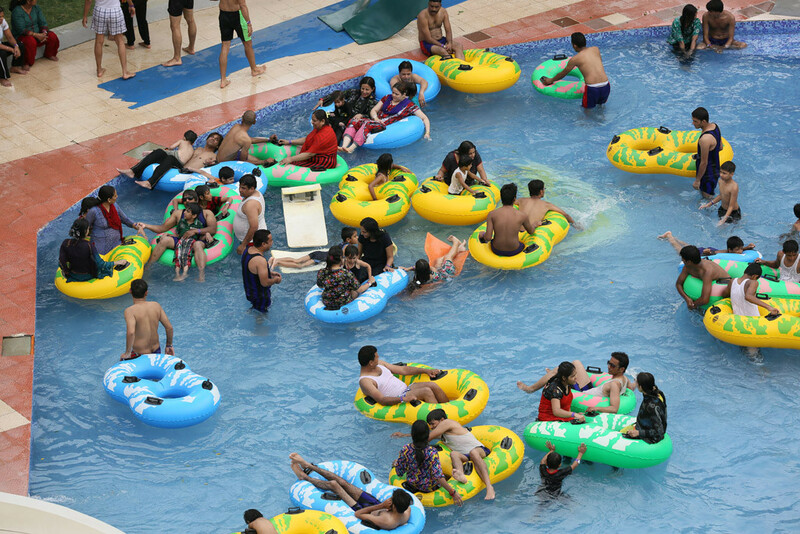 Crescent Water Park is the perfect getaway from the monotonous life and have a refreshing time at the water park. This place also has a wonderful resort where you can stay and relax at your own will. There is a lush green landscape providing extremely soothing and relaxed feeling. It is strategically located at a place that is far from the hustle bustle of the Indore City. At this Water Park you can enjoy some quiet time or get ready for thrilling water sports. Crescent Water Park in Indore also has some comfortable accommodation options available for its visitors. The visitors who wish to stay can select from Deluxe Rooms, Club Rooms, Cottages, Grande Villa, Deluxe Suites, Suites and Presidential Suites. 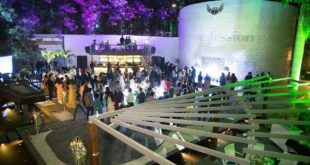 Some other facilities that are being offered at this place are Fitness Center, Swimming Pool, a Bar, a Restaurant, a Pool Room, a Mini Theatre, a Party Lawn, a Conference Hall etc. The Conference Hall at this park has the capacity to accommodate 300 people. The hall in completely air conditioned and having the facility of audio-video presentations through projectors. Kampel Road, Narmada Shipra Link Road, Ahead Of Devgurariya Temple, Jamniya Khurd, Indore – 452010. 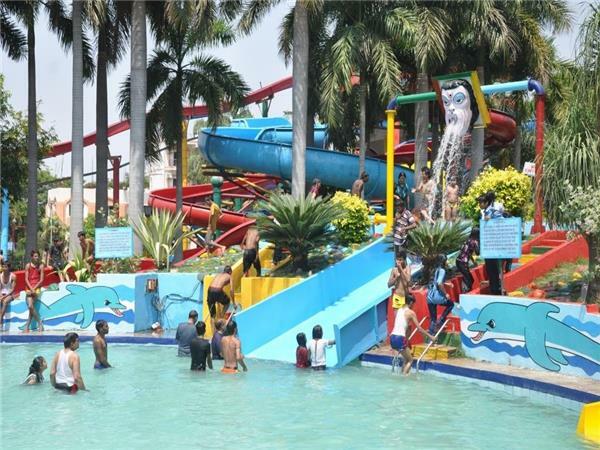 Shell City, Indore is known to be the first water theme park in Indore. Since it was builtin 1990, it has been a popular attraction for thousands of visitors of all ages. Spread over a total area of 22 acres and built with international standards, Shell City has a lot of mind blowing rides to thrill you. Shell City has a highly professional team of dedicated staff for various tasks that are being assigned to them. All staff members are bound to wear identity cards so that the visitors can recognize them easily. All employees of Shell City are provided with special training in courtesy, general etiquette and the way to deal with visitors. Shell City provides its visitors with Locker Room, Room facility, Parking facility, Bus facility, Resting facility for elderly people. Visitors can also avail Pool side food facility. Ice Cream parlour and Juice shop with other refreshments are also available. Shell City promises entertainment for all the age groups with popular rides and entertainment facilities like Train, Video Games, Card Room, Electronic Rides, Giant Wheel, Horse MGR, Mini Train etc. Restaurant and Bar is also available for liquor lovers. Food lovers can enjoy delicious food which has a variety of cuisine options like Indian, Chinese and Continental. You can also get Snacks, Burgers, Sandwiches, South Indian Dishes, Sweets, Desserts and much more. Sports lovers can enjoy Volley Ball, Tennis, Badminton, Swimming Pool and more. Rs.450 per person For Adults including Lunch. Rs.650 per person Platinum Package. Khandwa Road, Indore, Madhya Pradesh 452020. Spread over 12 acres, Nakhrali Dhani is built in a perfect village style. 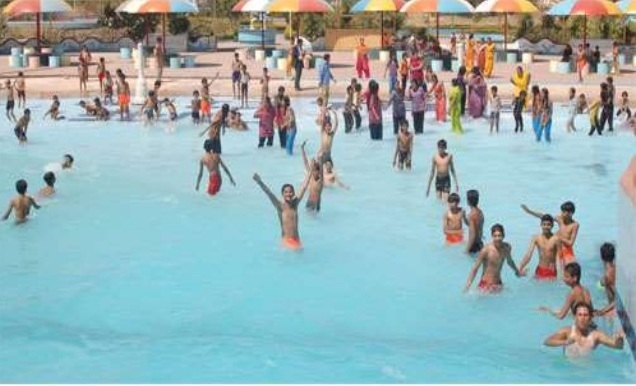 It is one of its kind Water Park in Madhya Pradesh. When you reach this place, you will find the aesthetics and ambiance very appealing. It is theme park in complete Rajasthani style. The mud work structures, lanterns, wall paintings, and all other things add to the beauty of this park. Once you enter this Theme Park you will be greeted by the staff in a very courteous manner. The place is filled up with mud structures and you can see various activities taking place such as shows and small plays, puppet shows etc. The Water Parts and Rides are a fun place for people of all age groups. There are a lot of activities for kids as well. Throughout the duration of your stay at this park, you will thoroughly enjoy. If we talk about the the rooms, they are well decorated as per the Rajasthani theme, with furniture pieces, beautiful lighting and lamps that matches with the surroundings. The rooms are not exceptional, but still they are good. If you opt for the rooms on the upper floor, they are better due to the wonderful view they provide. Some of the rooms have balconies with swings as well. The lunch is served in an authentic Rajasthani platter, and so is the dinner. Rau Road, Nakhrali Dhani Bypass, Opp. Railway Crossing, Indore, Madhya Pradesh 453331. This is our Complete list of Top 5 Water Parks in Indore. Have a Good Time ! The Address for Satyam Water Park is incorrect. Please correct that. I wasted my 2 hours because of this article :(. I apologize for the inconvenience caused and thank you for informing about the necessary corrections.